Fibromyalgia, CRPS and RSD - Fact or Fiction? - Piedmont Physical Medicine & Rehabilitation, P.A. 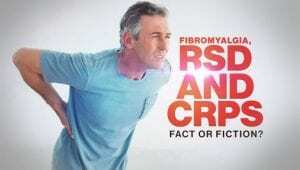 Fibromyalgia, CRPS and RSD – Fact or Fiction? Both fibromyalgia and reflex sympathetic dystrophy (RSD), which is also known chronic regional pain syndrome (CRPS), are chronic disorders that are often poorly understood. These conditions aren’t as widely discussed as other mainstream medical conditions. As a consequence, there are many myths and misunderstandings surrounding both conditions. No. Both conditions were first recognized in the 19th century, but they have had a variety of names. Fibromyalgia, for example, was first described in the 1800s under the name of “muscular rheumatism.” Over the next century or so, it was also called neurasthenia, fibrositis, and myalgia. The current name was adopted in 1976. RSD/CRPS was first described during the Civil War and has also been mentioned in the literature under several different titles. No. While the causes of both conditions still hasn’t been precisely determined, evidence suggests that they are related to physical causes and the malfunctioning of the nervous system. Many patients with CRPS/RSD, for example, develop the condition after being injured. Some diseases, like lupus or osteoarthritis, seem to increase the chances of developing fibromyalgia. Some researchers believe that the root cause of fibromyalgia is a change in pain perception, in which the patient becomes more sensitive to pain. Patients with fibromyalgia often have chemical imbalances that alter their perception of pain. For example, many patients have abnormally low levels of serotonin, a chemical messenger that stimulates the production of endorphins that serve as the body’s pain relievers. A lack of serotonin will lower the patient’s pain threshold. As another example, about two out of three patients with fibromyalgia suffer from weather sensitive pain, irritable bowel or irritable bladder. All of these symptoms can result for altered levels of neurotransmitters – chemicals in the body that help regulate the sympathetic nervous system. RSD/CRPS is a disorder of the sympathetic nervous system, which is part of the autonomic nervous system. As such, the affected nerves do not perform functions that people can consciously control. The sympathetic nervous system controls a person’s “fight or flight” responses. It also uses pain as a way to alert a person to injury. Under normal conditions, the pain subsides after the injury is healed; in someone with RSD/CRPS, the pain persists even after the injury has completely healed. RSD/CRPS is usually triggered by an injury like a fracture or torn ligament. While there is no cure for these conditions, treatments do exist and it is possible to relieve the symptoms and improve the quality of life. In fact, there are many therapies for fibromyalgia that can be tailored to treat specific symptoms due to specific physical problems that can be proven with objective medical testing. But what helps one patient may not help another. Some patients with do well with an array of medications to treat pain and other symptoms like insomnia or depression. Others do better with physical therapies such as swimming in warm water or performing certain exercises. Often it is a good idea to learn relaxation techniques or seek counseling to deal with the emotional problems that can worsen the quality of life. At Piedmont Physical Medicine and Rehabilitation, we also offer regenerative treatment options, such as prolotherapy and percutaneous tenotomy to repair weak ligaments for tendons. These are often involved in patients with fibromyalgia and are quite effective in relieving the pain associated with it. Since RSD/CRPS is often triggered by a specific injury, the doctor will often start by treating the injury. As with fibromyalgia, there are many medications that can be used to treat the pain, but with RSD/CRPS different kinds of nerve blocks are also frequently employed. For instance, a sympathetic nerve block involves injecting anesthetic medication into specific areas where collections of sympathetic nerves are located. In this case, by quieting down an irritable sympathetic system your doctor can help provide pain relief or make the affected area feel numb. Sometimes nerve blocks are done around a nerve in the arm or leg and other times they may be done in or near the spine. In some very complex cases Intrathecal drug pumps, catheters and similar devices can be implanted in the patient’s body and used to transport medication into the spinal fluid. However, at Piedmont Physical Medicine and Rehabilitation we prefer to try to repair what might be broken with the goal of restoring things back to normal. Stem cell therapy is one such viable treatment option that we have found to be effective even for cases with RSD/CRPS. Stem cells have regenerative properties, which can help increase blood flow to the afflicted tissue and help heal the injury site. Another great treatment approach for fibromyalgia and RSD/CRPS is to reduce “total load.” This means recognizing and treating other injuries, conditions or bodily stresses that can hinder your chance of getting better. Any one of these influencers can make your pain worse. Reducing total load is an integral part in a successful recovery. If you suffer from fibromyalgia or RSD/CRPS, or know someone who is, please give us a call at 864-235-1834 to schedule a consultation. Dr. Schwartz has extensive experience with these conditions and can help you overcome the battle.